San Diego sunshine takes its toll on our skin, leading to dryness, and textural abnormalities including brown spots and fine lines. Aesthetic Center of La Jolla is pleased to offer the new Hydrafacial MD-an advancement in medical grade skin care. 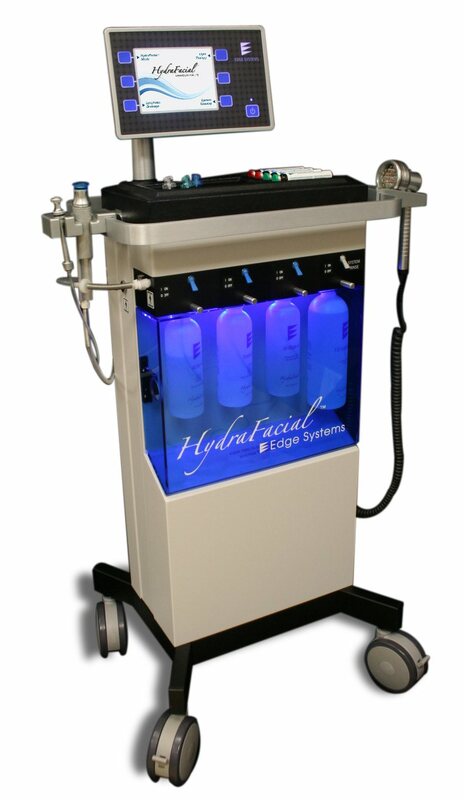 The Hydrafacial™ treatment merges soothing and invigorating spa therapies with an advanced medical technology to achieve instant, lasting results. Your skin is exfoliated and hydrated simultaneously, ensuring a comfortable treatment. Each treatment uses a series of patented HydroPeel® tips-each one has multiple abrasive edges to exfoliate the skin several times each pass, achieving better, more even results than traditional treatments such as microdermabrasion. The unique spiral design creates a vortex effect to easily dislodge and remove impurities while simultaneously introducing hydrating skin solutions and potent antioxidants. This treatment is ideal for active acne and unclogging pores without the discomfort of manual extraction. *Instant results will leave you looking radiant and refined – There is no downtime, so it is perfect right before a big night out or special occasion. Your skin will be left soft, hydrated, and glowing. The specially formulated skin solutions provide your skin with Antioxidants and Hyaluronic acid – two superpowers of skin health. Customized solutions target sun damage and hyperpigmentation.